[ iOS ] Version 1.6.10 has been released. [ iOS ] The main changes in version 1.6.10 are the following. - A new feature, Point-Paid Calls is added to the app. You can now sell your talk on SkyPhone voice and video calls! 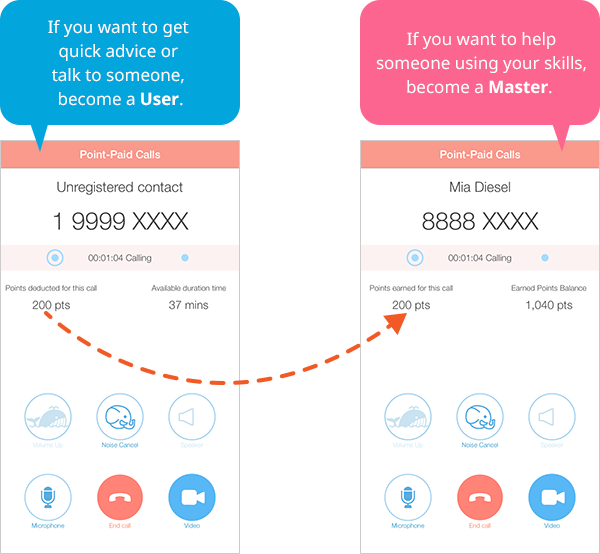 Masters, who can earn points and Users, who will pay points talk with a Master need setting for each. Complicated registration is not necessary. Find a Master who you want to get a quick advice or want to talk! Click here for details of Point-Paid Calls (for Users). Share your Master number on SNSs and so to find a User who wants to make a call to you! You can exchange your earned points for cryptocurrency. Click here for details of Point-Paid Calls (for Masters).